Bring your love for the American West to your home with this Western style, handcrafted end table. With its slim design, this end table is perfect for those small spaces in your bedroom or living room. Directly below the beautifully finished, open top are two, large, vertical drawers. 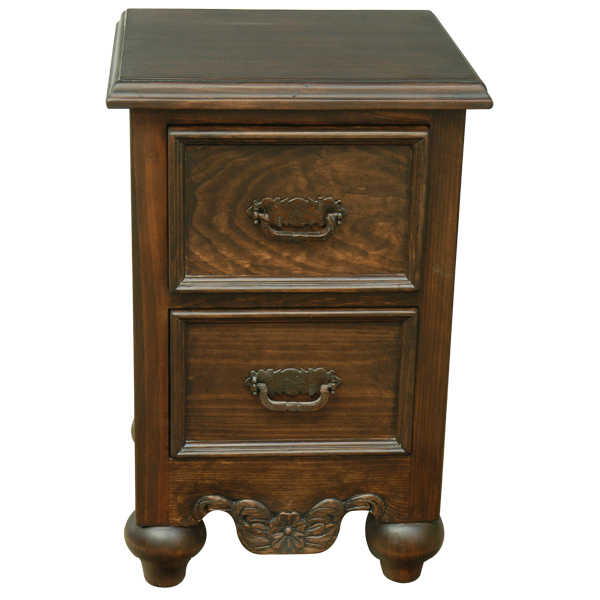 Each drawer is adorned with a hand forged handle, and below the bottom drawer are ornate, hand carved, floral details. 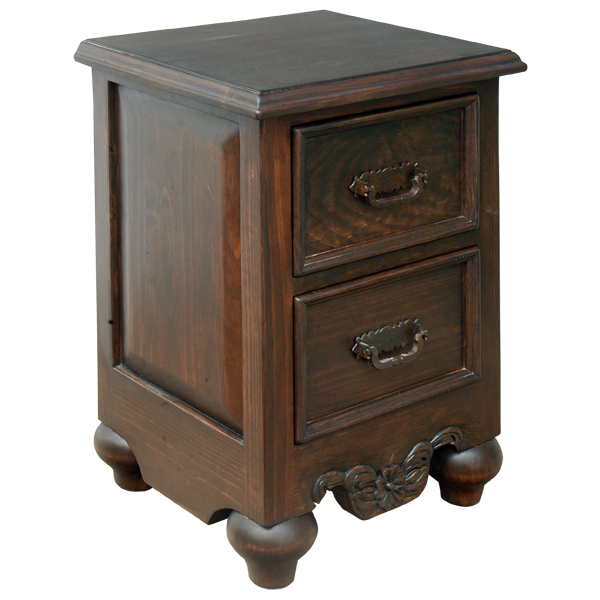 This furniture has a decorative panel on each side, and it rest on hand turned, bun style, tapered feet. The feet are connected by front and side stretchers that have curved details. Made with the best, sustainable, solid wood available, it is 100% customizable.